Stretching out across the wide landscape between the paths of the classical avant-garde and free improvisation, the Tone Road Ramblers have been taking a wild ride across on their own road of experimentation for over thirty years. Each Rambler – a virtuoso technician of his instrument of the highest order – contributes his idiosyncratic approach to extended techniques, microtonality, and draws from influences and interests in diverse musical traditions. But the Tone Road Ramblers are, above all, lifelong friends who have embarked together on the great journey of expression, open collaboration, and spontaneous discovery in reaching for a broad range of human experiences of ramblers, outlaws, and heroes alike. The Tone Road Ramblers are Ron Coulter, John Fonville, Eric Mandat, Morgan Powell, Ray Sasaki, Howie Smith, and Jim Staley. The Tone Road Ramblers gave its first concert in April 1981 in New York City at Roulette. Since then the group has performed across the United States, including New Orleans, Baton Rouge, Tampa, Miami, San Francisco, Fresno, San Diego, Chicago, Ann Arbor, Urbana, and Austin. In the 1990s, TRR was invited to present concerts at the International Festivals of New Music in Bucharest, Romania and Latvia during the 1990’s. In 1997, the group performed at Merkin Hall, NYC, and at the International Trombone Festival at Urbana, Illinois. 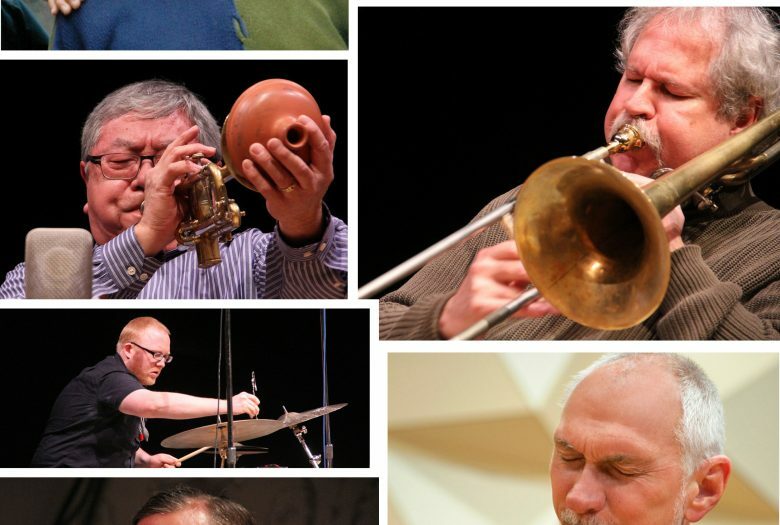 In their 4-decade long career, TRR have recorded two LPs and nine CDs, and the group continues to meet and rehearse at Ragdale Foundation at Lake Forest, Illinois, each year for the purpose of exploring new ideas for improvisations and composition.